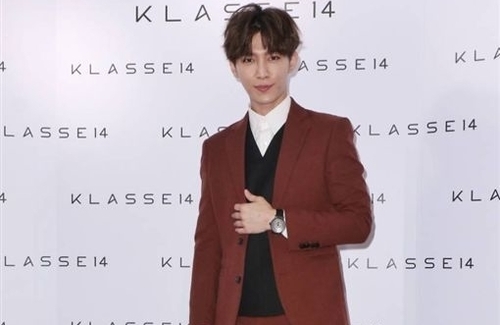 Last month, Taiwanese artist Aaron Yan (炎亞綸) was accused of dating three men at the same time, and his sexual orientation was revealed as a result. After the news broke out, Aaron opened up about the hardships he faced because of his sexual orientation and became more vocal about LGBT rights. The 34-year-old accepted a large number of media interviews for the first time following the incident at a promotional event for a watch brand on December 6. Notably thinner, Aaron admitted he only weighs 141 to 143 pounds, as he hasn’t had much of an appetite. When he does want to eat at home, he would order take out but would only manage to eat one or two bites before giving it to his agent to eat. Thankfully, he expressed his appetite is slowly recovering and he is beginning to eat as usual. When talking about the matter, he choked up twice and said he did not contact the men he was involved with. “The more I talk about it, the more painful it will be,” he expressed. “Sometimes when someone is looking at me, I will wonder what he’s thinking about, I don’t know how he thinks of me,” Aaron said.